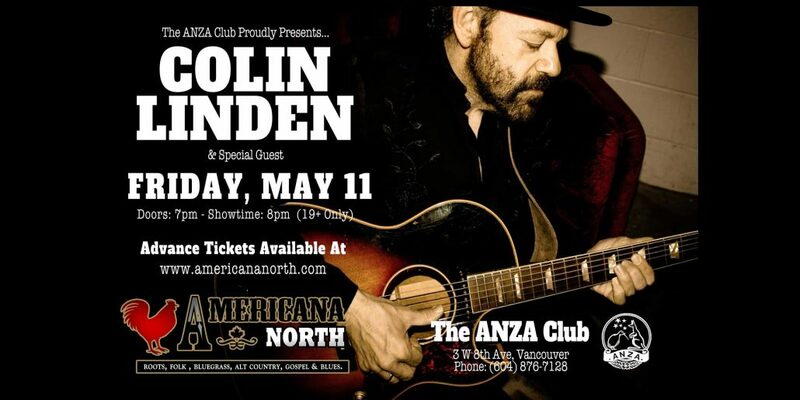 Americana North and The Anza Club is pleased to host an intimate evening with Colin Linden. Friday, May 11 Tickets on Sale Now. Colin Linden is a genuine renaissance man of roots music. He’s a member of the highly successful trio, Blackie and the Rodeo Kings, a singer and songwriter, an in-demand and prolific record producer, musical director on the hit TV show Nashville and sideman to the stars as guitarist for the likes of Bob Dylan, Bruce Cockburn, Emmylou Harris, Robert Plant , and Alison Krauss.